This photo of the classic Simmons & Clark neon sign has been viewed more than over 800,000 times on Flickr, according to its Facebook page. It has also been in several movies. Anyone in business knows the challenges of keeping that business going and making it thrive. 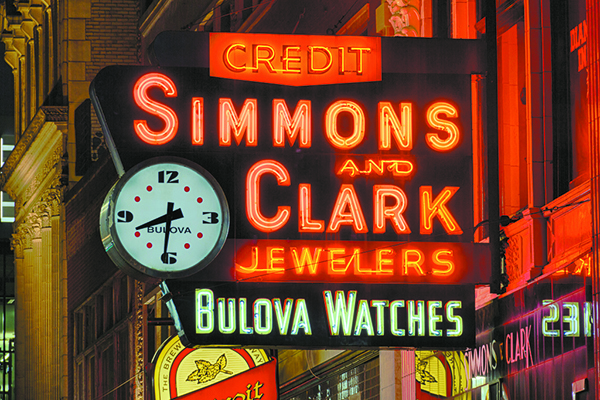 Simmons & Clark Jewelers, a Downtown Detroit mainstay since 1925 featuring fine jewelry, timepieces and gifts, recently celebrated more than 90 years of serving Detroiters by unveiling renovations to its store that reflect its commitment to the growth of a revitalized and evolving city. 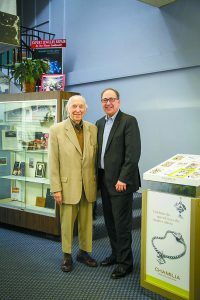 Michael Simmons, third-generation owner of the company started by his grandfather Fred and partner Harry Clark, is proud of the iconic status of his store, which was known for being among the first jewelry retailers to offer credit to its customers. He confirmed his commitment to those customers through the renovation and restoration of his family’s business. 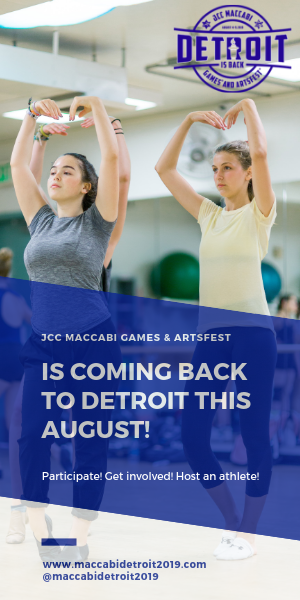 “Our store, opposite the Detroit Opera House on Broadway, has been on the same block since it opened,” said the 54-year-old Simmons, a University of Michigan graduate who attends services at both West Bloomfield-based Temple Shir Shalom and the Downtown Synagogue. “As part of our commitment to the city, we wanted to better serve our generations of customers by offering more products in a comfortable, inviting environment,” he said. “We worked with Ron and Roman to maintain the integrity of the store’s rich history, add a 21st-century flair and gain more showroom space. 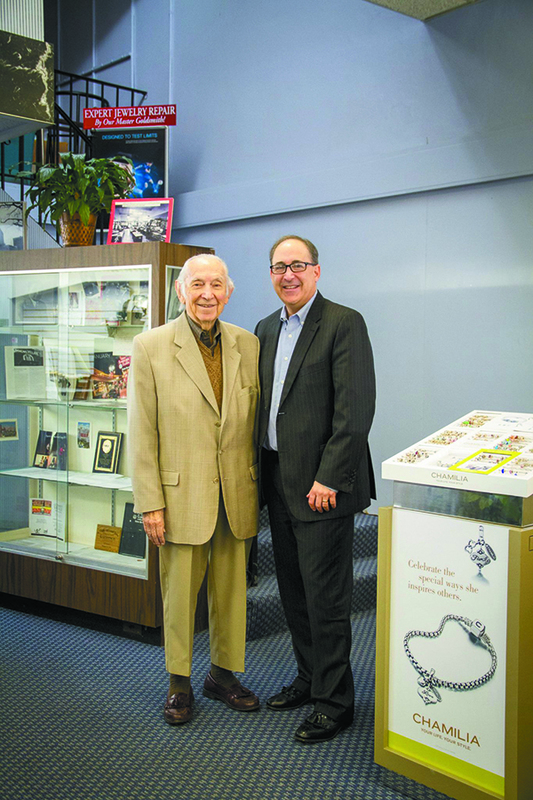 Simmons’ own history in the business is something he fondly recalls, especially as a 6-year-old working with his grandfather and father, George, both lifetime members of Temple Beth El. At 92, his father still comes in to work several days a week. Simmons joined the business as a full-time employee right after graduating from college in 1984. He noted that his family’s longtime success in the competitive jewelry business stems from conservative practices that began when his grandfather and Clark first opened. Simmons said his father and grandfather always looked for creative ways to market their products. They were one of the first jewelers to offer a credit plan to their customers: $1 down and $1 per week, making luxury items affordable for those who worked in the auto factories and police department. 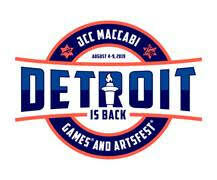 Simmons said he and his family have always loved Downtown Detroit and have been optimistic about the city. Even during tough economic times, they never considered closing the store or leaving Detroit. 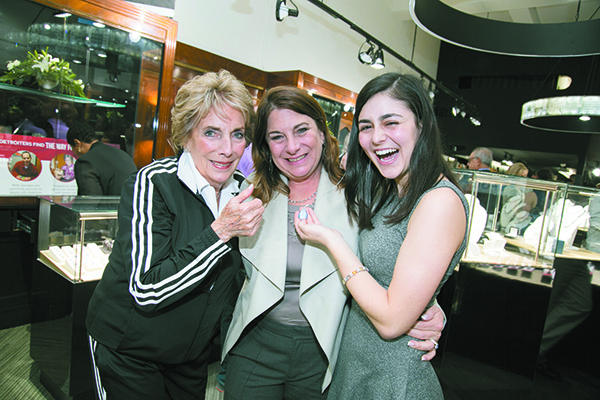 They had expanded to include stores in Northland, Eastland, Macomb and Oakland Malls, but a decision to consolidate, along with a partnership in an elite jewelry-buying consortium and good vendor relationships helped them weather the economic slowdown and remain profitable, offering the latest designs at competitive prices. Now, with a renewed outlook brought on by the store’s proximity to Ford Field, Comerica Park and new restaurants, Simmons said the area has become more vibrant than ever. The Simmons family’s philanthropic vision stems from the practice of giving back to the community that has supported them. 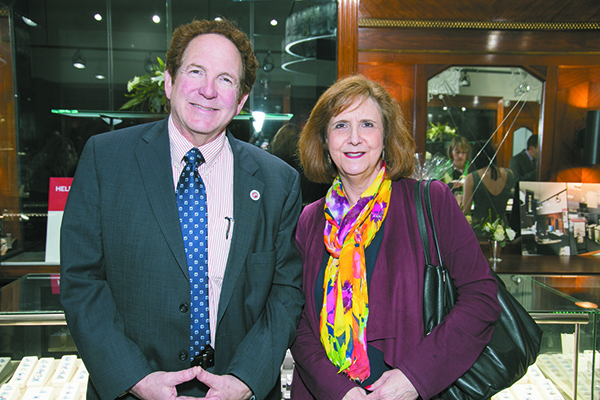 As part of the store’s grand re-opening, a portion of sales was donated to community charities such as Jewish Vocational Services, Detroit PAL, Gleaners Community Food Bank and Children’s Hospital Foundation. Outside of the business, Simmons noted he and his family have supported dozens of causes including Israel Bonds and Jewish Federation. 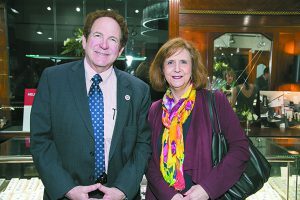 His volunteerism, including serving on the boards of JVS, the Detroit Entertainment District Association and the Leading Jewelers Guild, is a result of the values instilled in him by his father and grandfather. And other than the legacy his forebears have left him, what does Simmons consider the best part about his family’s business? Great article. Congrats to this family of Jewelers. I hope you keep doing well. If I am ever in Downtown Detroit, I will try and stop in.